Especially when you're sick. And I have been now on and off for months and it is driving me insane. Constant headaches are killing me. 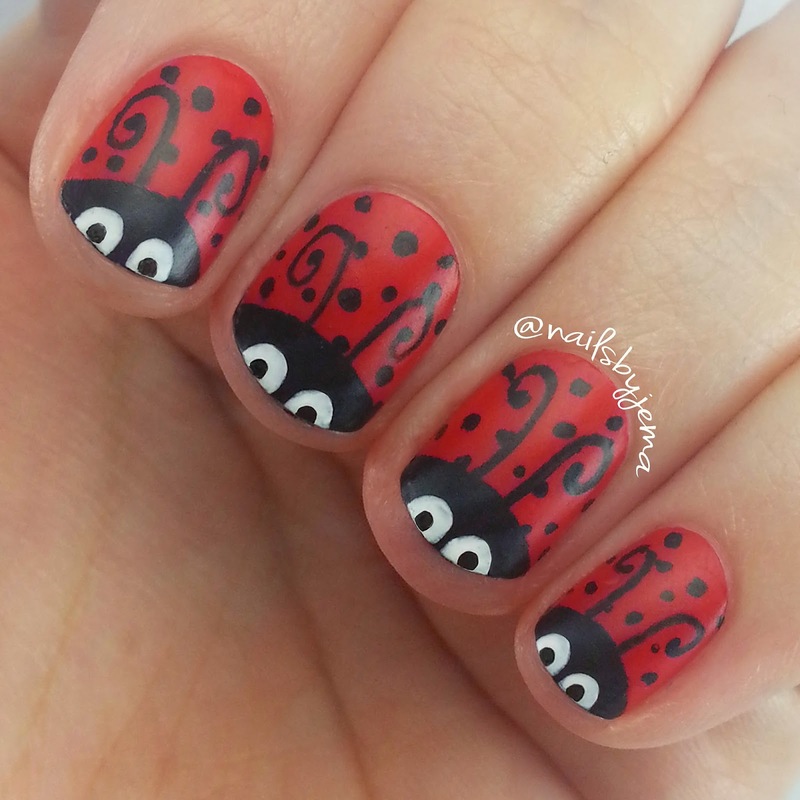 So to cheer me up, I did some cute ladybugs on my nubbins. I used Essie 'Geranium' for the base and 'Licorice' for their heads and then with a black gel pen added the antenna and uneven/natural spots once it had dried. The eyes were done with a white gel pen. Once the ink had dried I topped it all with Sally Hansen 'Big Matte Top Coat'.